Over 30 years ago, starting in the early 1980s, diversity first became a popular buzzword and topic. 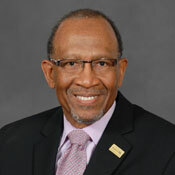 Since then, Fortune 500 corporations, government agencies at all levels, and large and small nonprofit organizations have all been doing “diversity work.” Various components of diversity have been added to elementary and secondary school curricula and courses that focus on diversity are being offered—and required—on many college campuses. What do you think of when hearing the word ‘Diversity’. An unassuming word association may apply to the word 'Different'. The word 'Different' almost every time has an undesirable overtone related with it. The word ‘Diversity is also applied to the derivation of words like ‘Div-ided’, ‘Div-ision’, ‘Div-arication’ meaning ‘separation or into’. WISHRM defines diversity as difference. The premise is that differences in perspectives, experience, backgrounds, etc., can offer benefits to any organization. While diversity referred to race and gender, today it is much more. Although these two aspects are very important and laid a foundation, it became apparent there were numerous ways in which we differed. At times there can be barriers between co-workers due to cultural, educational, functional, regional, or even style differences. Accordingly, when the majority of people in the workplace hear diversity are they two steps away from disapproval or going their separate ways? Not everyone associates diversity to negativity. There were some other pleasing words that come up to explain diversity like; ‘Variety' 'Change' and ' Transformation' just to mention a few. These dimensions make us individuals and allow us to make unique contributions to the success of the organizations we belong to; no matter where we come from, who we are, or what our background is, there is a place for all of us. So, why have employers held onto the word if they are trying to bring people together? Are employers truly presenting the concept of diversity correctly in order to create unity? Now there is a new word ‘Inclusiversity’ that is rapidly and widely being accepted and applied in workplaces. The word is intended to clarify the intent of any blended group, team or project. This choice of wording is first and foremost intended to include others, include different ideas, perspectives and backgrounds. Inclusive organizations encourage and harness similarities to make their services relevant and approachable. An inclusive organization draws upon the widest possible range of views and experiences, so it can listen to, and meet, the changing needs of its customers, staff, shareholders, vendors, partners and supporters. By using the term 'Inclusiversity' along with pursuing greatness, employers can appreciate a positive momentum in their work place. All employers should be reminded that ‘Inclusiversity’ is the quest for improvement, growth and profit by linking the differences of everyone. Inclusiversity enriches organizations. It is blending an environment that elicits the very best from employees that is fundamental to the success of any employer. We learn from experiences, beliefs, and perspectives that may be different from our own and these lessons can be taught best in a richly comprehensive, intellectual and social environment. It plays a key role for employers, because it impacts interactions between staff. Employer Inclusiversity should be reflected in the workforce like in the customers/clients they serve. An employer’s goal is to promote an inclusive organizational culture through its’ training and corporate culture that integrates differences in order to enhance innovation, quality of service, and teamwork providing an economic impact. It promotes personal growth and a healthy workplace by fostering mutual dignity and teamwork. ‘Inclusiversity’ encourages critical thinking; and helps employees learn to communicate effectively with people of varied backgrounds. It enhances an employer’s economic competitiveness by effectively using through ‘Inclusiversity’ the talents and abilities of all employees regardless of their backgrounds and cultures. The word ‘Synergy’ is one of those fun words to use. By Synergy I mean the interaction of two or more agents or forces so that their combined effect is greater than the sum of their individual effects. Try using the word the next time you are at a social gathering, and decide which of your colleagues is most impressed by you expounding on the virtues of something being synergistic. Workplace diversity is one of those things that bring about Synergy. Yeah, yeah, we all know that we are to value diversity and it is the right thing to do. Human resource professionals can inadvertently become talking heads for diversity without really being passionate about diversity. Their can be limited understanding about the real payoff of having a diversity initiate within a corporation’s overall strategic plan. Straight to the point diversity operationalised in the workplace significantly helps render a strategic plan realized, rendering more gains than what is expected! Thinking of diversity in this way leaves us with positive images of which we see the benefits. But, do we really view workplace diversity as a positive benefit? The fact is that most workplaces are becoming increasingly diverse and heterogeneous. People from different genders, races, ethnic origins, ages, cultures, family structures, and lifestyles find themselves working together. Embracing the change that comes with diversity is not about being ‘politically correct’ or ‘doing the right thing’. It’s about valuing and appreciating individual differences. Yet, when you value diversity an interesting things happens: you see more clearly the sameness in each other. Desiring diversity has a way of bringing about greater respect because of the uniqueness and commonality we share together. Embracing diversity in the workplace leads to increased creativity. Some of the greatest accomplishments in civilization emerged when people of diverse backgrounds worked together and exchanged ideas. The Renaissance came out of the East meeting the West during the Crusades. America is known for its inventiveness and advancements due in large part to the diversity brought about being a nation of immigrants. Come to terms with our attitudes, beliefs, and expectations about others while gaining comfort with different-ness. Believe that diversity is big enough to include everyone-young and old, immigrant and native, black or white, and goes beyond race and gender. Recognize that past inequities are in the past and focus should be in the present to reduce stereotypes and discrimination. Acknowledge that we human beings resist change, and find comfort in and trust people most similar to ourselves. Embrace differences, plan for diversity and anticipate the synergy that creates measurable outcomes and gains to your company’s mission and strategic plan. To recognize those organizations and/or companies who foster an inclusive work environment in which all employees are inspired to contribute their best through their different perspectives, backgrounds and experiences. Award an organization who has been a role model in their local community as a strong advocate for diversity. This award will be based on organizational achievements. 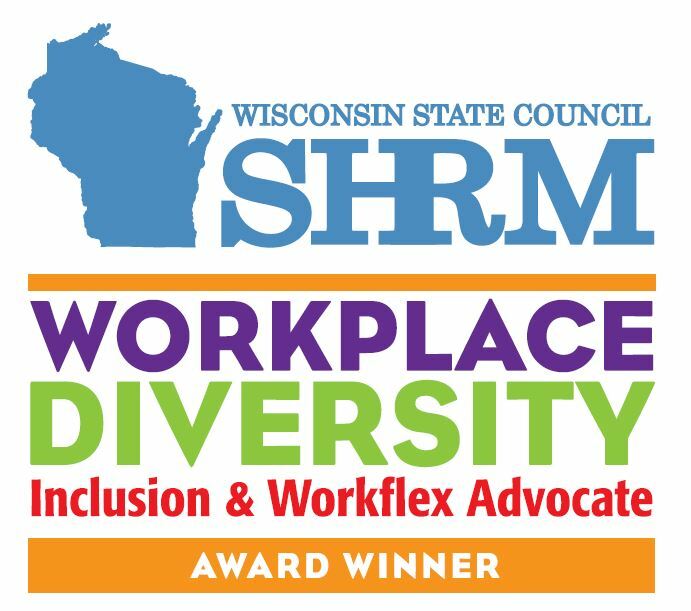 The Workplace Diversity Award is presented to the recipient at our annual WI State SHRM Conference that is held at the Kalahari Resort and Conference Center in Wisconsin Dells, WI. Mental Health Center of Dane County, Inc.